Oh how happy I am to welcome summer officially along with all the cute summer essentials back into my life! 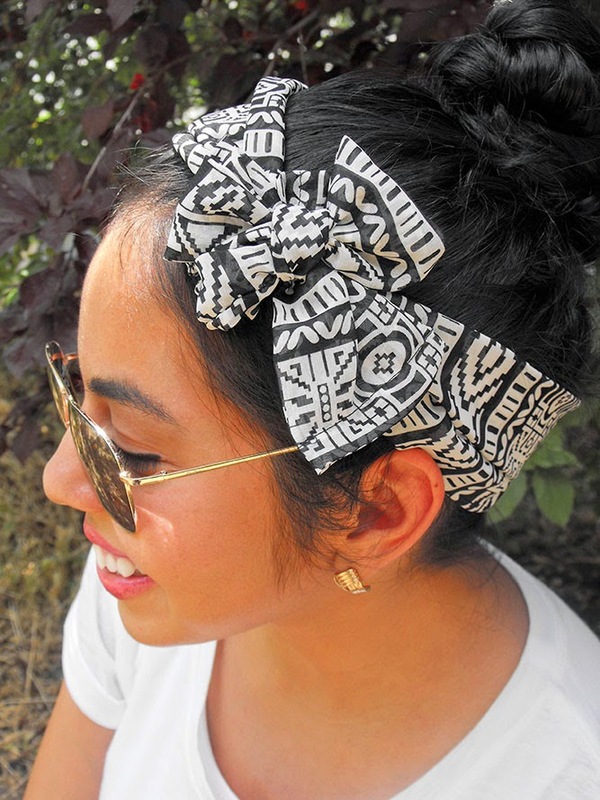 There are just some pieces that are total summer must haves like hair accessories. For this chic summer look I put my hair in a high pony and braided it to make a fun top bun. 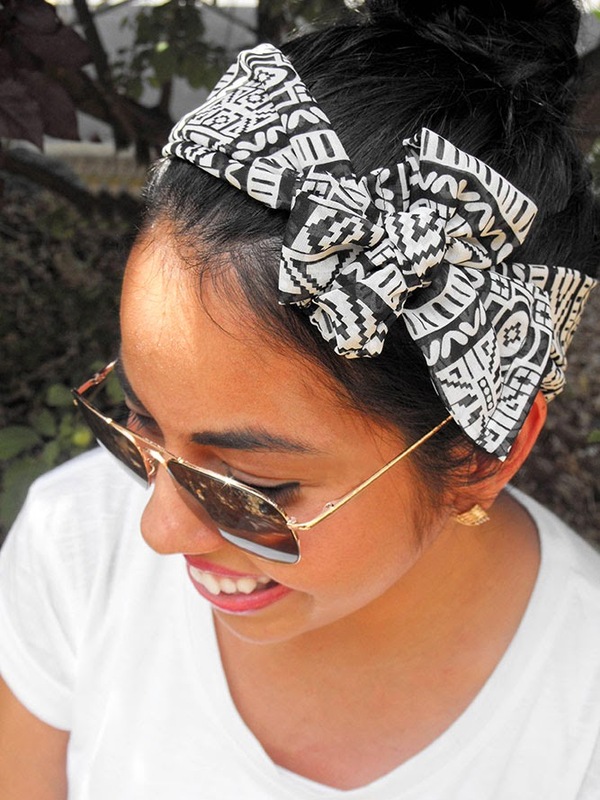 But the summer look isn't complete without the perfect Aztec Head Scarf. 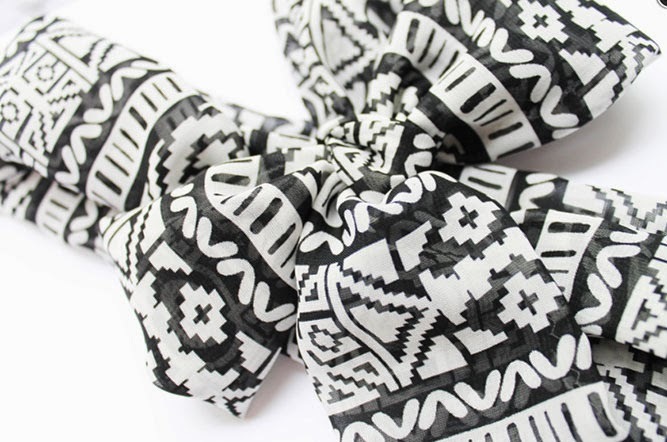 Love wearing my chic chiffon head scarf--it just elevates any look effortlessly! To get this chic summer look check out the cute online shop Puddles and Pales--they have a variety of gorg hand-crafted accessories.